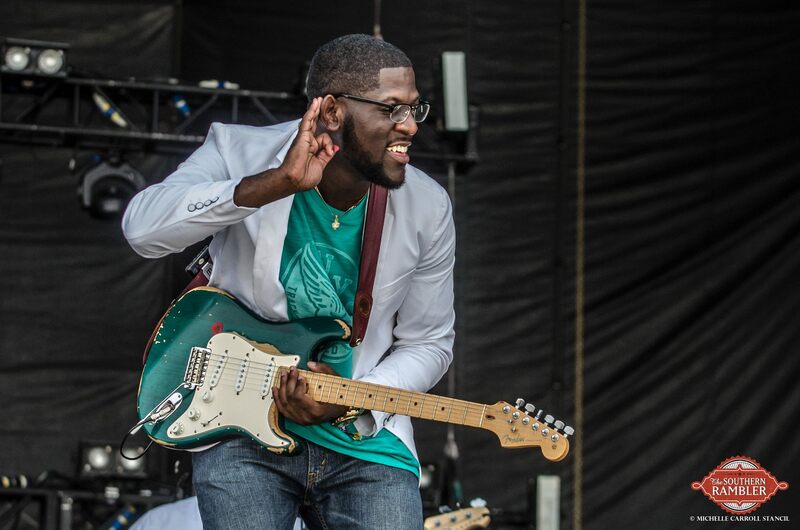 Jamell Richardson, known as The Gulf Coast Blues Boy, won 92ZEW’s “Reach the Beach” contest to open the Hangout Festival. 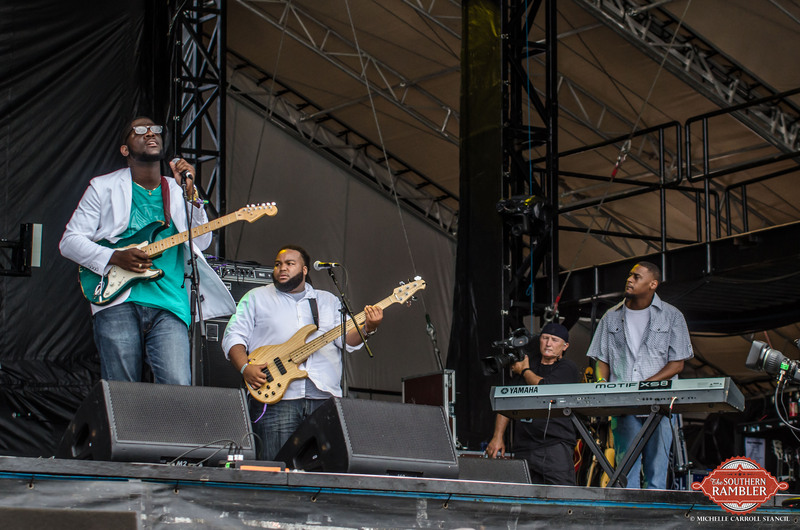 Richardson is from Grand Bay and took over the Hangout main stage with a tribute to BB King, songs about the relationships, and an energetic interaction with the crowd. 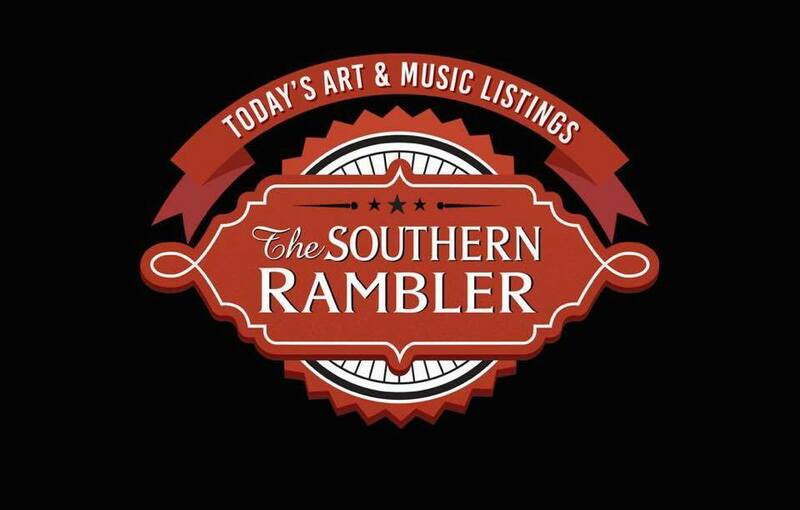 The Southern Rambler talked with Jamell after his show. TSR: What did playing the Hangout Festival mean to you? Jamell: This has been such a blessing. The competition has been good publicity and I am thankful. The Hangout Festival treated us like stars. I love the Gulf Coast and I want to represent it. TSR: How did your music begin? Jamell: Music started in church with traditional gospel. 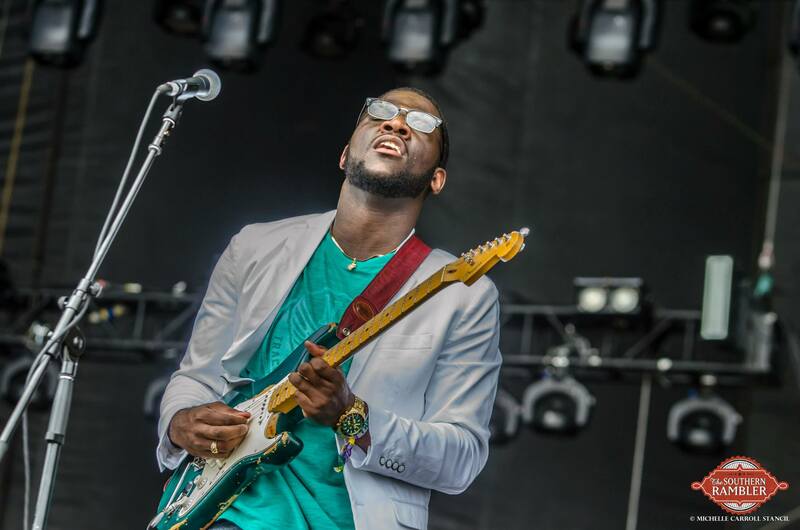 My mother and grandmother were pastors and I always thought if I didn’t play gospel, I would play blues because it reminds me of traditional gospel music with stories about relationships and the problems of life. My grandmother gave me my first guitar when I was two and I started playing music in church. That was sown into my life and I haven’t looked back. I have been a musician for a while but I played in other bands. A year ago I started branching out and doing my own thing with the Gulf Coast Blues Boy. TSR: You are a big personality on stage. What were you like growing up? Jamell: I have never been scared of a crowd and played in school talent shows and pep rallies. When I get up on stage, that’s my stage. I don’t care who is before or after me. I have self-confidence and I feel the crowd, if I get tired and they charge me back up. When I am doing a show or rehearsal, I never know what is going to come out. We might practice it a certain way, but my band knows I feed off the crowd. I am not scared to say anything or do anything, but I still like to be respectful. TSR: What do you do away from music? Jamell: LAUGHS. Nothing. I have a recording studio and I am a producer and engineer. My manager and I have a studio in Moss Point, Mississippi that also does graphic design and photography. We mentor kids and help kids in the community. I do a lot of behind-the-scenes things as well, but music is always the driver. TSR: How did you get a part in the James Brown movie, Get On Up? Jamell: The James Brown movie was a blessing and a major opportunity. I was playing for Mel Waiters and travelling with him for two years prior to the movie. The saxophone player had to be at a final callback and I was riding with him so I had to go to the audition with him. They cast me with no audition. When God has something for you, it’s for you and no one can take that from you. That was my transition into who I am. For a long time I tried to be the guy in the background, but deep down inside I knew I was the frontman and the James Brown movie brought it out of me. Once I left the set, I became The Gulf Coast Blues Boy. TSR: Why do you mentor kids? 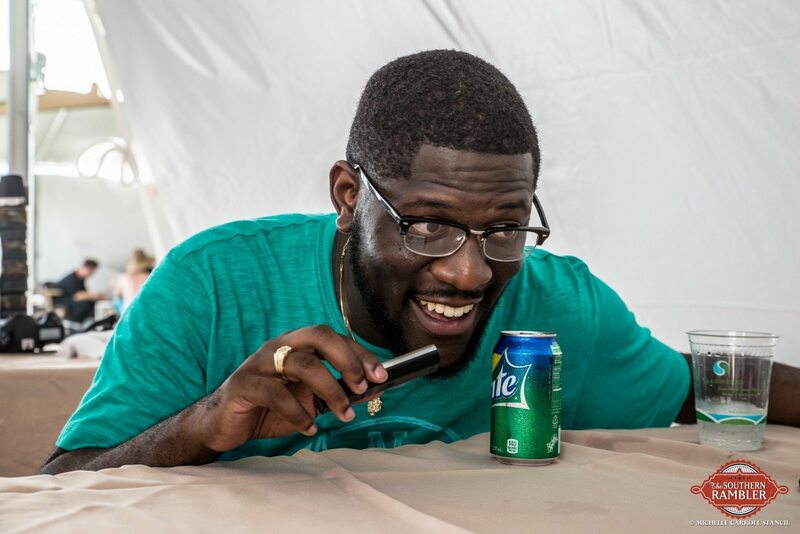 Jamell: We all know we are going to die and can’t take anything with us so why not share it with somebody? You ask me something and I am going to show it to you. We are here to sow into someone else’s life. TSR: You work the stage and crowd with a lot of energy. How does the band keep up with you? We have to do our best every time because you never know who is going to be there. It could someone in the bathroom or standing behind a wall. That could be the person who changes your life. I do my best every time I play. TSR: You ended the show with “The Thrill is Gone” and an emotional tribute to B.B .King who died the day before. What did B.B. King mean to you? Jamell: I think I was about eight or nine when I became curious with the blues guitar, especially after hearing “The Thrill Is Gone.” But I was a church boy and it was hard to make that transition because after hearing that blues was the Devil’s music eventually you believe it. My mother wasn’t really strict so I still listened when I could and Deuces Wild is the first B.B. King album that I bought. “Ain’t Nobody Home” was probably my favorite song off of that one. I moved into other genres, but the blues has always been a part of me. When I joined Facebook, the first video cover I did was “Thrill Is Gone” and I still laugh at how bad I sounded. B.B. has always been an inspiration in my life but I didn’t realize how big until now. When I saw him getting off his tour bus at his 2014 Homecoming in Indianola, Mississippi, I was amazed to see all of the beautiful people he had an impact on. B.B. opened so many doors for blues music and whenever I felt like quitting he inspired me to keep pushing. I always do a tribute to him in my show. There won’t be another B.B., but I want to be part of the next generation that helps to carry the torch of the blues.